Electronic Circuit and Product Design - delabs can design the Electronic Circuit and PCB if you have a Product Idea and Plan made. If you need a circuit, product or a solution designed as per your exact specifications, delabs can help you with your Firm's EE Project or Idea. 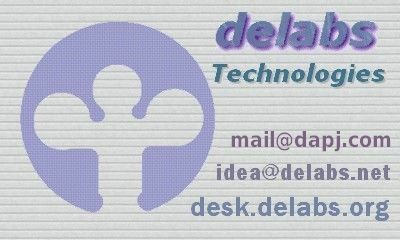 delabs offers the following support and service. Product Feasibility study and Component Sourcing. Knowledge and Technical Information Support. Circuit and Product, design and development. Product Engineering and Testing Support. delabs support includes circuit design and related documents. PCB Design, Prototypes and Firmware development is also done in some cases. 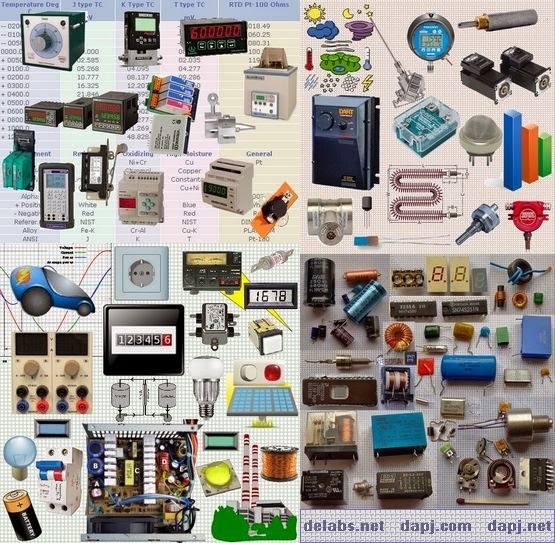 delabs does not undertake Consumer Electronic Projects. Service Charges for documentation, email support etc. will be charged depending on time and effort involved. delabs can Design or Develop, Custom Electronic Products. Here the design IP - Intellectual Property will be private. The design charges will be more and the rights to that particular configuration will belong to the serviced firm or customer. delabs works on Industrial, Instrumentation, T&M and R&D Equipment Areas only. The Product Prototype will be made by delabs with the active support of the customer. The terms for that will be sent by email on request, after the Design Discussion. delabs shall not accept projects or orders, that may be in conflict with similar projects done earlier for other firms. delabs Open Design Service is done on the terms shown in the document below. This work is done at a lower design service cost, as it can be reused by others and benefits in the the Education of the EE community. You can use this form for paid email technical support - Contact Form. You can also send me your product design request. Limited but Free tech email support at Circuits FAQ. Analog Circuits - OpAmp, Signal Condition, Mixel. Digital Circuits - Logic, CMOS, Counters, Timers. Microcontroller - 8051, 8052, OpCodes, Interface. Data Interface - Virtual Instrument, Device Network. delabs is made of a few tech websites online. delabs provides many circuits and documents as a source of Technical Reference. They are free for the use in education, research or experimentation. delabs plans to add more useful circuits, ideas and documents. Interface at delabs support page, use the Contact Form too. When you wish to learn Electronics, first a short study of Physics is essential, secondly some Electronics theory. Then build simple and small electronic projects to learn Practical Electronics while working with Educational Hobby Circuits. Lastly to make your own product designs, a fundamental knowledge of Analog and Digital Electronics is the foundation for your next steps into Engineering a Design. The basic building blocks for most circuits are Chips or ICs. You can acquire considerable knowledge by studying Application notes. Then you would want to use a Microprocessor or Build Microcontroller Projects. The Specifications and Behavior of Passive Components like inductors, capacitors and Resistors; Discrete Semiconductors; Power Devices and RF Components have to be understood well, in order to design sturdy Industrial Grade Designs. The Technology related to the equipment used for Testing, Troubleshooting and Calibration is called Test & Measurement, Here we use Test Instruments like Oscilloscopes and Digital Multimeters. Medical Electronics and Military Designs require more meticulous, robust and dedicated designs with higher reliability and accuracy. In Medical electronics product safety is vital, Consumer products should be affordable without compromising Human Safety factors. Then you need to look into Usability or Ergonomics, which is a science that helps us develop practical and cost-effective products, which have an optimum Man-Machine Interface. EMI, ESD, RFI are other important aspects that deals with Electromagnetic, Electrostatic and RF; Noise and Interference; in the Stable performance of products in Real World Harsh Environments or the Reliable Transmission of data. Lastly Computing and Communication makes products more versatile in any application. EDA, Technical Computing and Systems Engineering helps creating products and complete process solutions. Automation and Control is the predecessor of Robotics and Mechatronics. delabs maintains an Electronics Circuits Archive with some Technical Documents, many of these circuits were designed or developed by delabs. There are also many useful links to electronic resources, products and companies. The intention to put it in the web is to enable Students, Hobbyists and Professionals to get more ideas on various aspects of electronics and circuit design. The Technologies and Hardware Configurations of delabs are Open Designs. delabs created content and circuits, can only be used for product design, product development, study or hobby. The delabs and dapj; websites and blogs; are EE Technology Publications. It has the resources for custom industrial and instrumentation product design. delabs is a service for product design and development. The product shown on the left is a Insulation Tester and a Tera Ohm Meter. 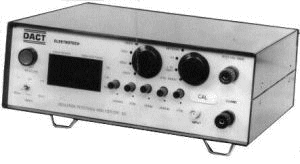 A DC regulated Test bench Power supply is shown above. These were designed in the 80s and 90s.